The safest way to prevent exposure to bloodborne pathogens is to never ever come into contact with blood. Unfortunately, that isn’t always an option. At some point you may need to provide medical assistance to someone that is bleeding, or you may be asked to clean up blood spills. When these times come, your best bet for protecting yourself from bloodborne pathogens is using effective personal protective equipment – which is also regularly referred to as PPE. You’ll come to find that there are many varieties of PPE, and each variety is often used to protect certain parts of your body. The three main categories of PPE are designed to protect your hands, your face or your body. Gloves should be worn every single time you plan on coming into contact with blood. Gloves designed to protect you from bloodborne pathogens should be single-use, disposable gloves made of latex, rubber, nitril, or some other waterproof material. Always inspect gloves before each use to make sure there are no tears or punctures. Another safety precaution to take when using gloves to clean up bodily fluid spills is to cover and bandage all wounds on your hands before putting gloves on. This will help ensure that if there is glove damage or your skin becomes exposed to blood while removing gloves you remain protected. Protecting your face – primarily your eyes, nose and mouth – is necessary any time you may come into contact with splashing or spurting blood. The two main types of face and eye protection needed for blood cleanup are eyewear and face shields. Eyewear for bloodborne pathogen cleanup consists of either safety glasses or goggles. Eye protection needs to be worn since pathogens can be transmitted via the thin membranes of the eye. The design of face shield is to increase face protection by placing a protective barrier over the entire face and should be worn in addition to eye protection. Face shields provide protection to the nose and mouth, which are both channels where bloodborne pathogens can be transmitted. Gowns and aprons are types of PPE designed to keep bodily fluids off your clothing and body. Clothing contaminated with blood can be both difficult to clean and create an exposure hazard. If any blood comes into contact with your clothing it can soak in and come into contact with your skin, and if you have any cuts or scrapes on your skin there is a chance of transmission. Therefore, if there is any chance of bodily fluids splashing onto your body, the recommendation is to wear a gown or robe before commencing cleanup. What is the spill source? Is there a chance another spill could occur? What areas of my body may be exposed to a spill? After answering all these questions, you should be able to determine the type(s) of PPE you will need for a safe and sanitary cleanup. If you are unsure about any of the questions above or the nature of the spill, it is always better to lean to the side of caution and utilize too much PPE. After successfully cleaning up a blood spill and decontaminating the area, there is still the important final step of safely disposing of all the cleanup materials. Depending on the different types of PPE you used the sequence of removing and disposing of PPE may vary, but the general procedure should remain the same. Gloves: Remove the gloves first since they were most likely exposed to the largest amount of blood. Remove gloves by grasping near the wrist and pulling the glove off inside out. Next use the inside out glove to peel off the other glove. Once both gloves are off, place them in a marked and sealable hazardous material bag. Gown: If you used a gown or apron for cleanup, consider the front and sleeves of it dirty and remove and handle from the back. First, remove any ties or straps and peel the gown away from your body. Next, turn the garment inside out, fold it into itself, and throw it away in the appropriate hazardous materials bag. Eyewear: As with gowns and aprons, the front of the eyewear is considered dirty and should not be handled. Remove them by grasping the frames near the ear and gently pull away from the face. Depending on the type they should either be disposed of or placed in a special container for sanitizing. Face Shield: Remove the mask by the ear loops since the front in considered dirty. Remove away from the face in a downward direction and dispose. Another key aspect of safe and effective PPE use is to make sure all PPE is stored in easily accessible areas. It is essential all employees receive training on where PPE is stored; do not store PPE in areas that may become locked or inaccessible at any period. PPE should be stored in cool dry areas. In addition, make sure PPE is stored in a location where it is safe from tampering from untrusted individuals. 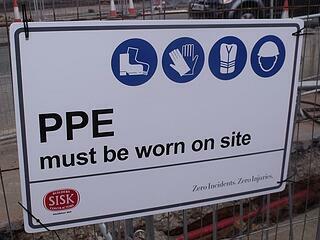 Wherever the PPE is stored, it should be inspected routinely to make sure it is fully stocked and in good condition. 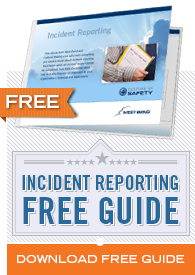 Using a log to document when PPE is used can help keep track of its use and resupply immediately when needed.